When the sun goes down on the Arabian desert, the fun doesn’t have to stop. where they can experience the wonder of the remote sands and shining stars on the Arabian Peninsula. In Saudi Arabia, we’re lucky to enjoy the sun during most of the year. Even though this part of the Kingdom can reach record-breaking temperatures, the “feels like” temperature can be higher because of the humidity. Life does not stop when temperatures increase and we need to cope with them. Luckily, now we have reached the time of year when there are no more excesses and we can enjoy the mild and pleasant weather. As we head into the winter months with the weather improving on an almost daily basis, there is no shortage of outdoor activities that Aramcons can enjoy. Be it road races, soccer tournaments, tennis, golf, softball, or any number of athletic activities, playing sports is a great way to stay in shape. Just remember to stretch before fully engaging in these activities and stay safe while participating. Being able to be outdoors makes a person feel less tired and stimulates the body. 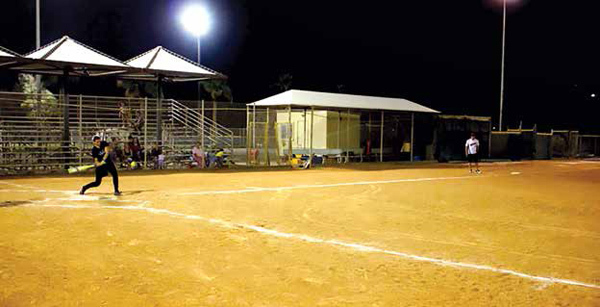 Indeed, this is the best time of the year to do outdoor activities, and luckily for Aramcons, the sports options are virtually unlimited with soccer, tennis, swimming, golf, basketball, cricket, and baseball among the many options available to us. For running enthusiasts, the Dhahran Road Runners Club (DRRC) and the Ras Tanura Fitness Group have a number of events planned over the next few months. There will be a half-marathon race in Ras Tanura on Nov. 30, and DRRC will host its Winter Series from Dec. 2-6. Both groups have other events planned for January and February as well. Playing sports in the open air means enjoying the benefits of training combined with breathing deeply and feeling the warmth of the sun’s rays. But at the same time, we need to know about some of the risks that careless behavior can produce to our body. For this reason, the Loss Prevention Department (LPD) will be running a sports injury awareness campaign throughout the month of December. The main focus of this campaign is educating employees and dependents about the possible hazards of sports injuries. LPD’s Adam Currie suggests browsing this website https://www.stopsportsinjuries.org to check out helpful tip sheets and learn more about staying safe when playing sports. hailing from outside, with music, arts, crafts, and plenty of produce to satisfy the palate. Another popular option for Aramcons to get out and enjoy the great outdoors in the Eastern Province is camping. For thrill seekers and those with an adventurous spirit, there is nothing quite like experiencing the harsh beauty of the desert on a camping trip at this time of the year. Camping in the Saudi Arabian desert is a kind of religious experience to me and I strongly recommend that both novice and experienced campers take advantage of this unique environment — to see the animals of the desert, and to hear the haunting sounds of the dry and whistling winds. My camping trip left me speechless with the clear night sky of the desert, the jackal calls in the night air, and the perfect silence of the morning when the only thing connecting me to reality was the awe-inspiring experience of the colorful sunrise. Respect the sun: A broad-brimmed hat to shade the face, sunglasses, and heavy-duty sunscreen are essential. In the hottest part of the day, find some shade and rest. Leave hiking and other strenuous activities to the cooler morning and evening hours. Bring copious amounts of water: Humidity in the desert is extremely low, so dehydration is a real possibility. Evenings are chilly: Many novice desert campers are surprised that the nights are so cool. Be sure to bring extra clothing and some blankets. Safety: You’ll probably need a professional and licensed driver who is also trained in first aid. The cars used are usually four-wheel drive vehicles suited for a safari. They must be fitted with a roll cage to protect the occupants from being injured in an accident, particularly in the event of a rollover in the desert. It sounds simple, but taking a four-wheel drive car is crucial. Tires: These need to be deflated before driving onto the sand dunes and campers should carry shovels to dig themselves out, if required, and air compressors to inflate tires in the event of punctures. A jerry can of extra fuel is also recommended. The type of tent used in the desert is also important. It should have a zipper, and be securely fixed to the ground in case conditions become windy. You should also make sure you close the tent completely at night to prevent insects and reptiles from getting in. Rubbish disposal: It’s important to take garbage bags with you to clean up after yourselves and take the rubbish with you when you leave. Enjoy your barbecue, but please don’t leave an environmental mess behind. Choosing a good site when pitching a tent is crucial. The ideal location is a flat area sitting on a high dune. It’s important that you have a good range of vision all around you and so that other people can see you. If you camp at the bottom of a dune, there’s a good chance that other people out dune racing might not see you, and that could result in an accident if they come racing over the top. The next few months are most conducive for gardening with the pleasant temperatures and relatively calm winds. It’s the perfect time for gardening and to enjoy your own courtyard. “Plants that cannot tolerate our extreme summers will do well now, especially some annuals like snapdragons, dianthus, pansies, marigolds, alyssum, and lobelia,” says Tina Ghant, president of the Garden Group, a self-directed group run by volunteers. She explained that our summers are just too hot for most annuals. This association’s core is bringing in flowers. There is a Garden Group Shop where Saudi Aramco employees can come and shop, and help is available if needed. Additionally, gardening classes are offered periodically throughout the year. The Garden Group Shop is on 17th Street, and is open on Mondays from 11 a.m. to 5 p.m. and on Tuesdays from 9 a.m. until noon. SAEA offers a number of activities and even trips. One of the wintertime favorites is the Janadriyah Festival in January. The Saudi Aramco Employees Association (SAEA) is always ready to arrange amazing leisure events for Aramcons. The volunteers are organizing a special day with the Arabian horses in collaboration with the Dhahran Arabian Horse Group for December. They’re also looking at an amazing trip to Riyadh for the Janadriyah Cultural Heritage Festival — undeniably one of the most important cultural events of the year where you can immerse yourself in the Saudi culture, story, architecture and traditions. 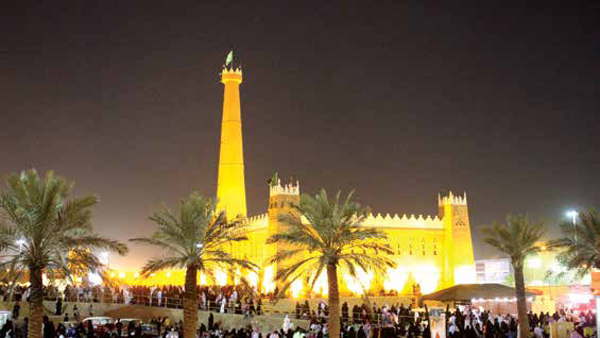 It’s a place to enjoy traditional food, dance, camel rides, handmade art crafts, and so much more. Dates will be announced soon. 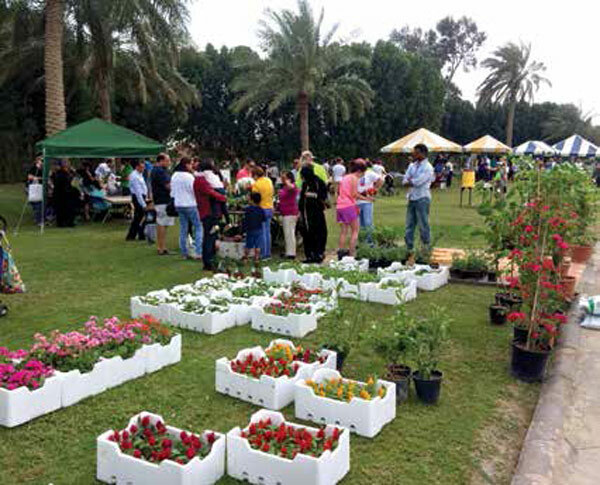 The Dhahran Farmers Market, organized by the Society of Advocates and Volunteers for the Environment, is held every third Friday of the month (Dec. 21, Jan. 18, Feb. 15, and March 15) from 1 to 3 p.m. at the Greenbelt — Oasis Avenue and Third Street track. The market provides fresh and local produce and organic products. There are home vendors and handmade items. It is also possible to enjoy food trucks and shawarmas, kids activities, a recycling group, a reading rug in collaboration with the Dhahran Library, an artists arena in collaboration with Dhahran Art Group, and a Musician Circle open jam session. 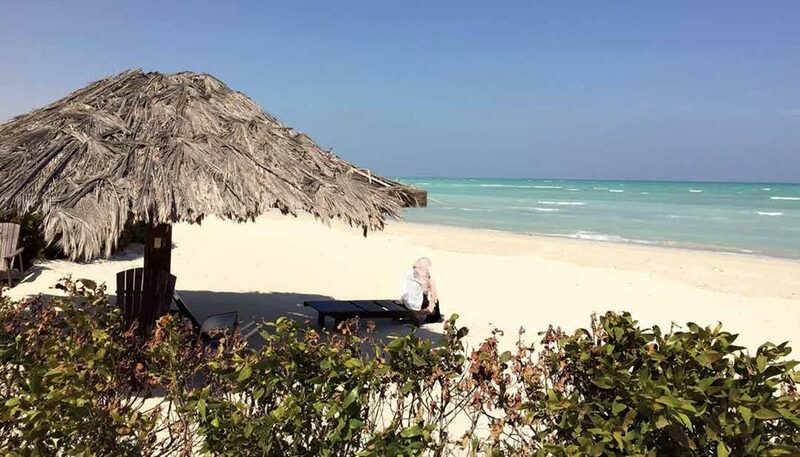 A trip to the beach is good most times of the year, but in the cooler months, taking a dip in the Arabian Gulf or simply walking along the dedicated paths — day or night — is a delight not to be passed up. Aramcons also have the opportunity to enjoy private beaches at Half Moon Bay and Ras Tanura. Both places are a must to visit. They’re equipped with showers, covered shacks with barbecue grills, and playgrounds for children. They present an opportunity to hang out at the beach, immerse yourself in the light blue waters, and to conclude the day with an awe-inspiring sunset. To enjoy wandering around the Eastern Province, try the al-Hasa oasis, Al Qarah Mountain and its amazing caves, Hofuf and its rich historical downtown with the Qaisariah souq, the Yellow Lake, Uqair beach and its ancient seaport, Qatif, as well as Tarut Island and its castle. Good weather means enjoying life in the open air — afternoons in the garden, a nice walk, sleeping under the stars, a lovely picnic, sinking your feet into the sand, birdwatching, or whatever your favorite outdoor activity happens to be. In the open spaces, we can rediscover our feeling for adventure and exploration and enjoy the opportunity to stay on a beautiful, uncrowded beach, perhaps in a natural paradise, and experience spending hours staring at the sea, and listening to the wind and the waves. Believe me, you won’t get bored. On the contrary, you are sure to feel part of the whole, in harmony with the environment.